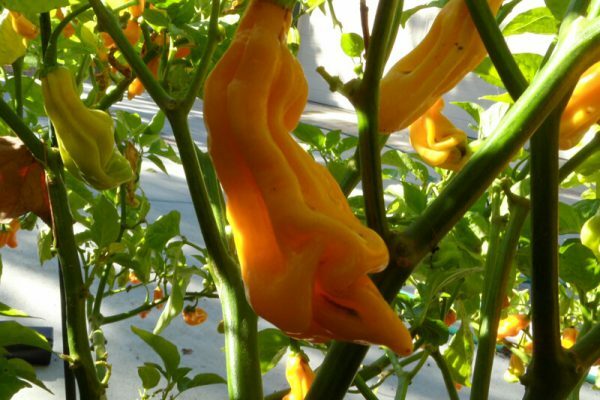 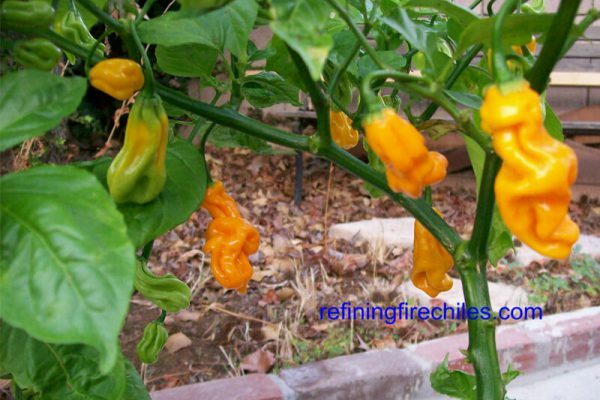 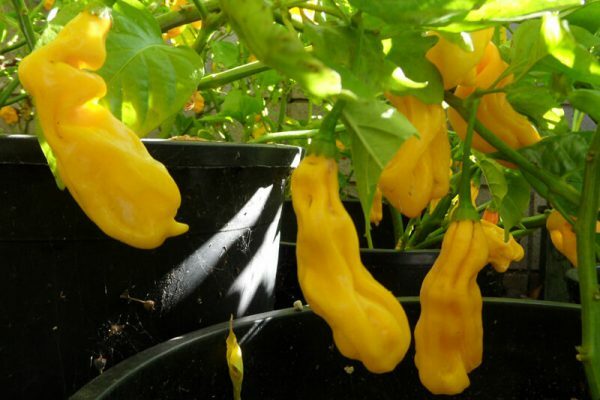 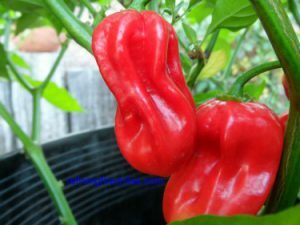 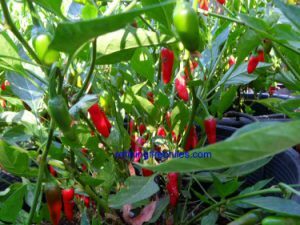 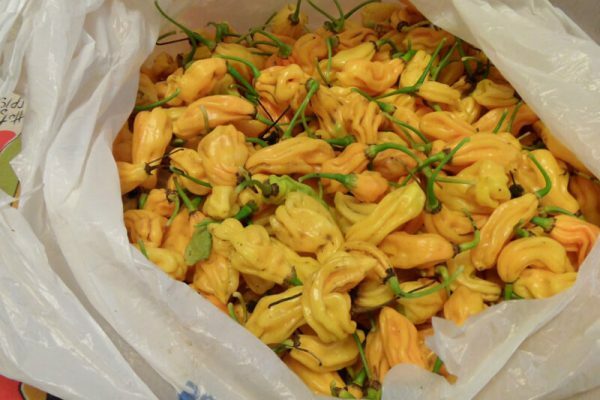 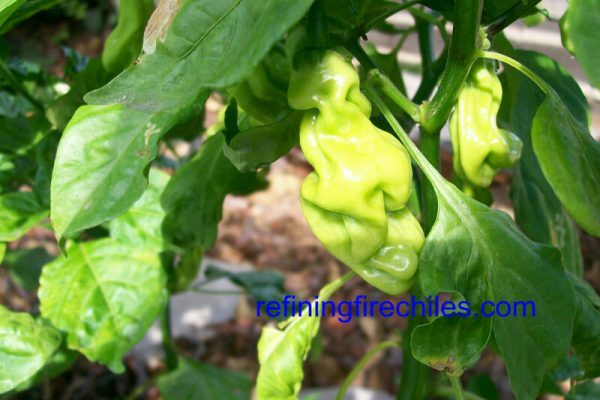 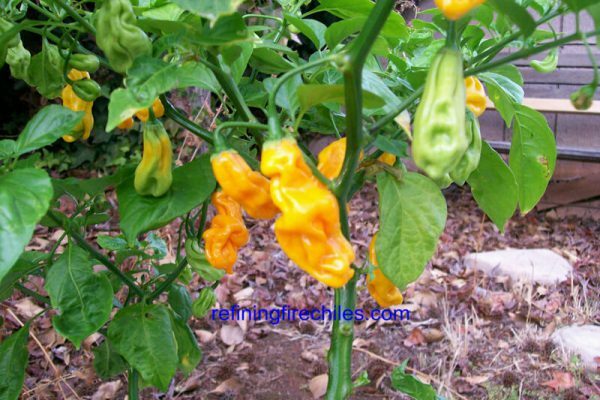 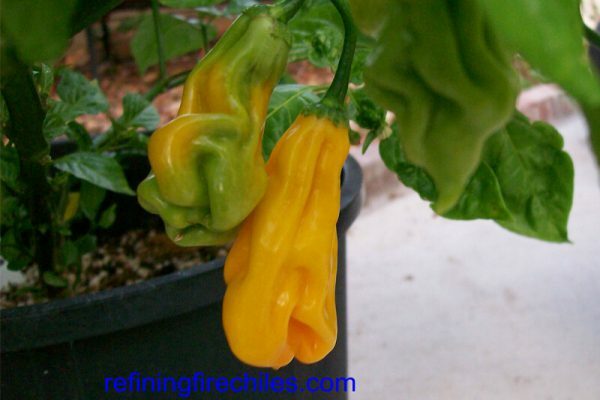 Malaysian Goronong (Capsicum chinense) is a rare habanero type from Malaysia. 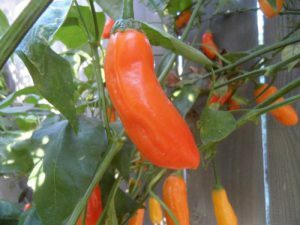 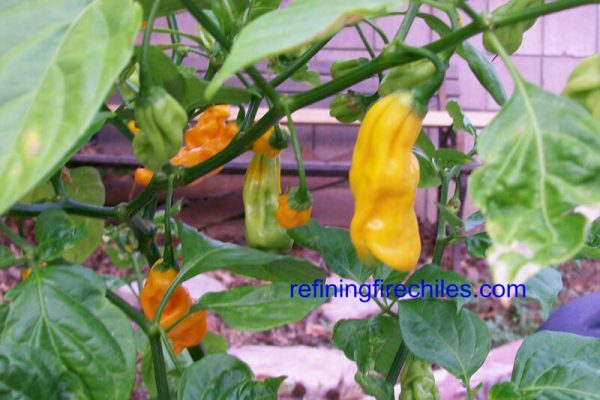 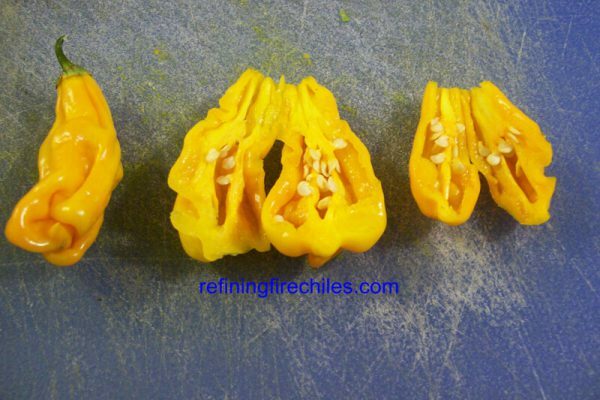 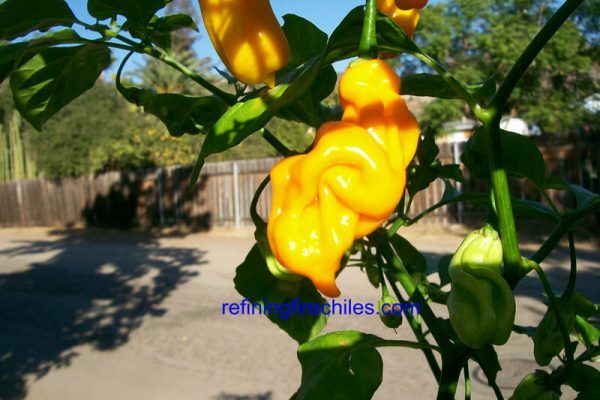 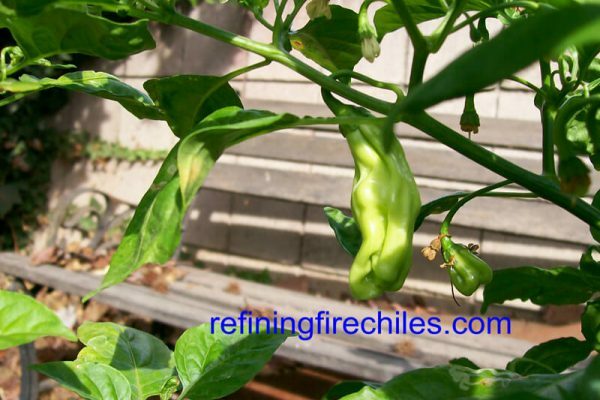 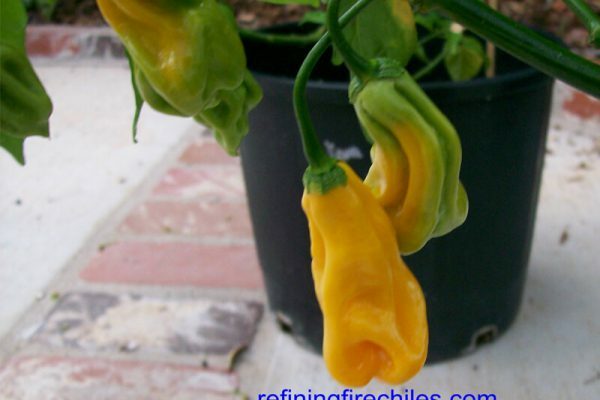 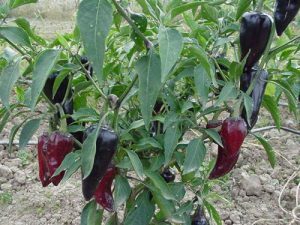 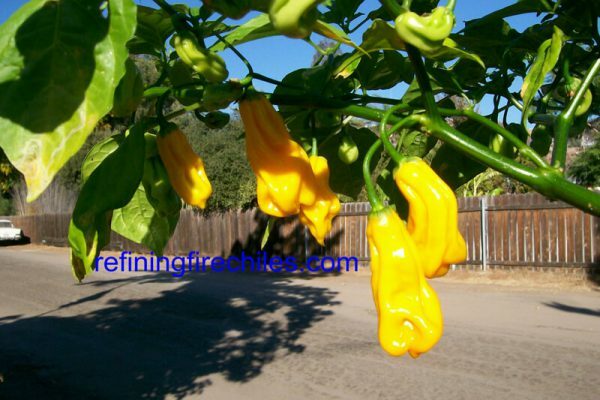 It is also called the Coronong or Caronong chile. 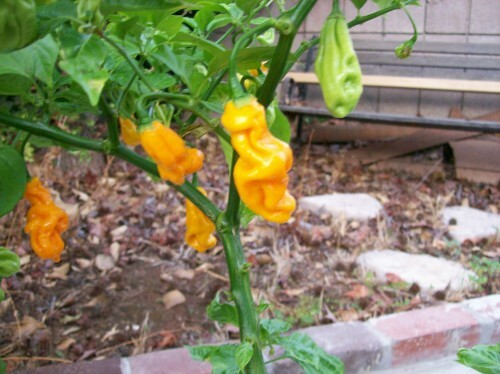 Pods are elongated and come in the most twisted and contorted shapes. 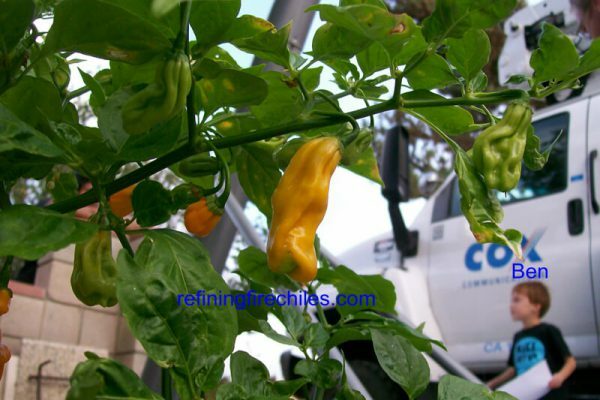 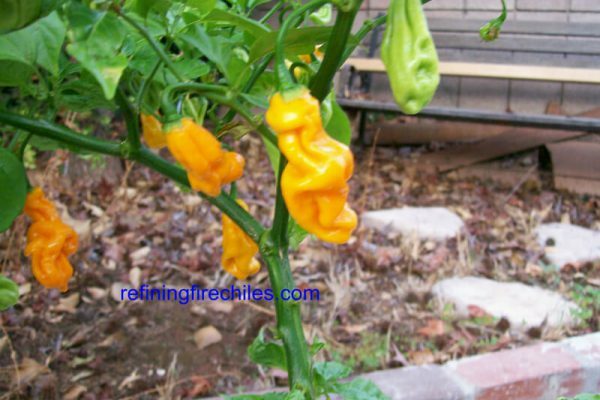 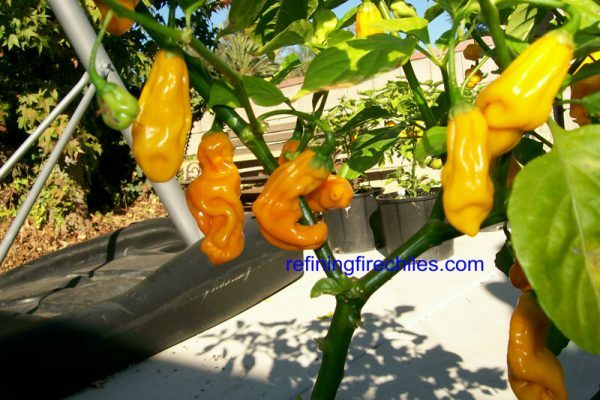 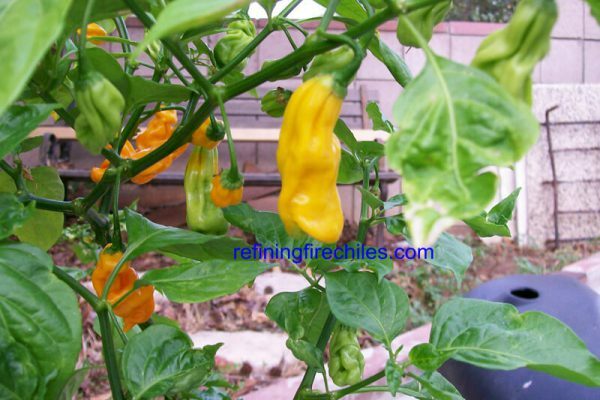 They mature from light green to bright yellow and if left on the plant too long get and orange yellow color. 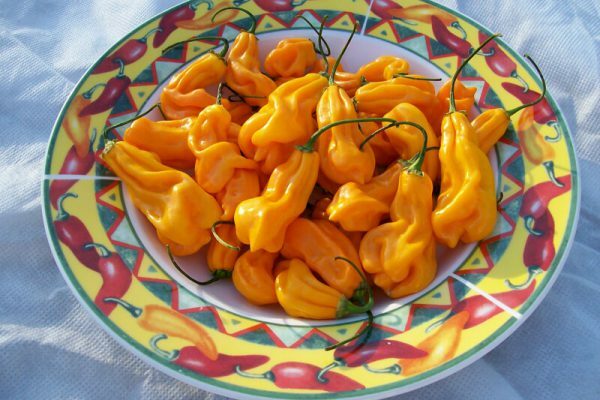 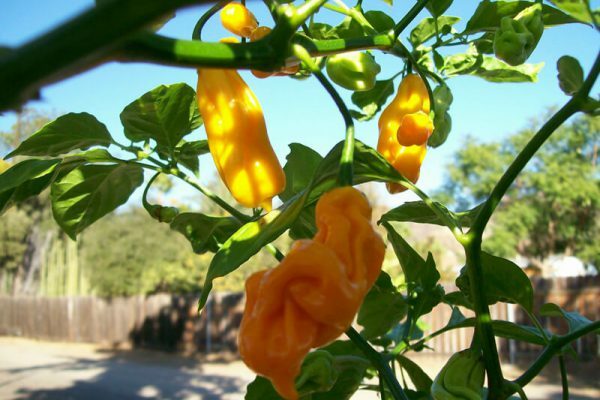 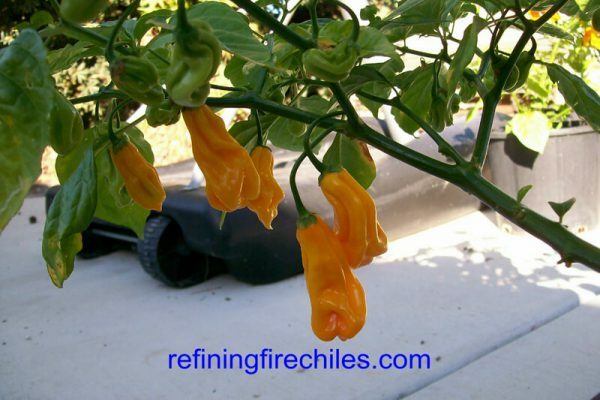 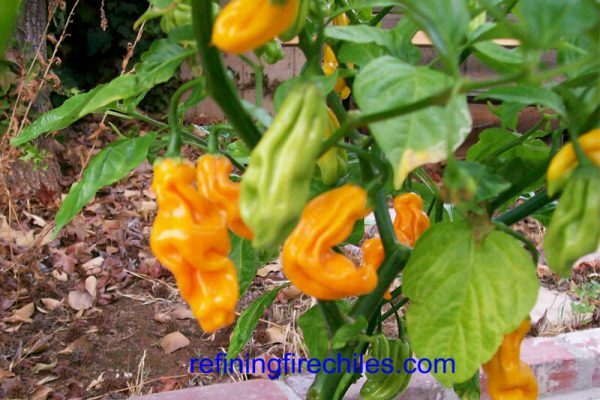 The Goronong has a delicious fruity flavor and has the heat level of a orange or red habanero.